Our travel consultants have selected 10 things to do and to see that you should not miss during your Vietnam vacations. Cruising on Halong Bay, visiting Hoi An ancient town, eating Pho, trekking the North - Vietnamstay offers several tailor-made tours at your choice. While most travelers treat Halong Bay as a day trip from Hanoi, it is worth treating Vietnam’s prime attraction as a completely separate destination in order to experience more of this beautiful natural marvel. 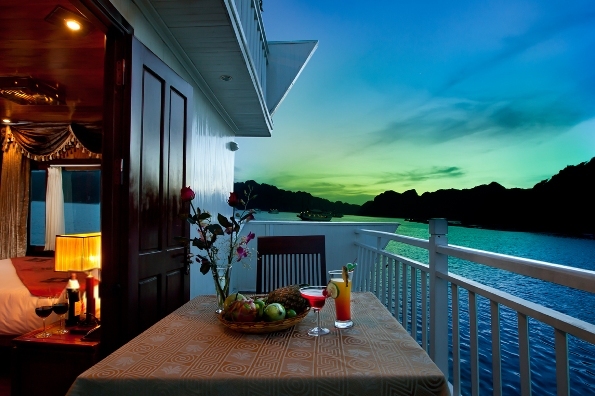 A 3 day 2 night cruise allows passengers to “get off the beaten track” and discover the secrets of Halong and Bai Tu Long Bay, from floating fishing villages and hidden beaches to kayaking adventures through sunken grottoes. Once a major economic trading post in South East Asia during the 16th and 17th centuries, the ancient town of Hoi An is a living museum highlighting a unique blend of Eastern and Western architecture. With Chinese temples, pagodas, wooden shop houses, brightly colored French colonial houses, old canals, and a Japanese bridge, Hoi An has been very successful in preserving and restoring its enchanting beginnings. In the evening, the riverside is lit up by quaint lanterns, making it an atmospheric and picturesque spot. North Vietnam possesses some of the most dramatic and exquisite scenery in the whole of Indochina. The towering mountain peaks, deep gorges, lush valleys, raging rivers, and terraced rice fields all come together to form a picture of rugged, natural beauty. Trekking in North Vietnam is an excellent way to experience first-hand the ethnic minority cultures and festivals unique to the region. Vietnamese food is considered one of the healthiest cuisines in the world due to its use of fresh ingredients like herbs and vegetables and minimal usage of dairy and oil. 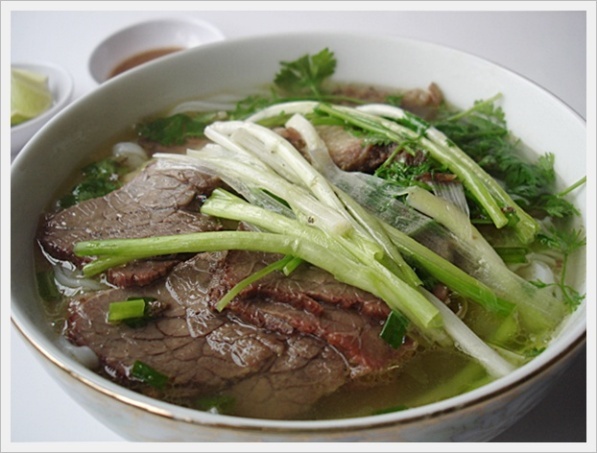 One of the most famous dishes in all of Vietnam is Phở, a noodle soup consisting of broth, rice noodles, herbs, and primarily chicken or beef. Originally from Northern Vietnam, the dish spread throughout the country during the Vietnam American War, and has remained a staple in diet ever since. Phở stands can be found in any city in Vietnam, from big restaurant chains to little old ladies selling their homemade recipe on the street to clients sitting on plastic stools. The Cu Chi Tunnels, a common day trip from Ho Chi Minh City, is a great way for tourists to have a glimpse of the underground life of soldiers during the Viet Cong-era. Encompassing more than 120 km of tunnels, the site is a popular attraction for local and foreign visitors who wish to follow the routes of the underground army. Many tourists are surprised by the massive red and white sand dunes located in South Vietnam, in Mui Ne, a popular beach destination. The red sand dunes, as the name suggests, contain reddish brown sand and are smaller than the white sand dunes, which the locals refer to as “the White Lake”. 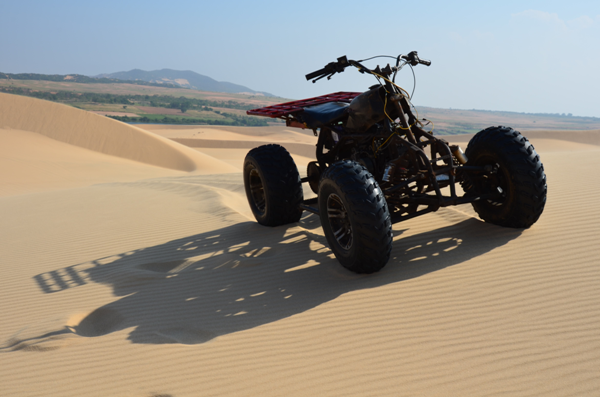 Popular activities in the area include either driving an ATV or sledding down the sharp turns of the dunes. The ancient imperial capital of Vietnam has much to offer travelers interested in the history of the country. With the Perfume River winding its way through important landmarks, such as the Capital City, Imperial City, Forbidden Purple City, and the Inner City, Hue holds natural and historic beauty. Most importantly, the tombs of the Emperors can be found here, dating from the late 1800s to early 1900s. The most popular way to visit the tombs is by taking a day cruise along the Perfume River. The Mekong River Delta in Southern Vietnam is home to a host of cultural and natural excursions for travelers. The serene beauty of the delta holds many traditional ways of life, and this can be seen very clearly in the floating villages and markets scattered throughout the area. Here the inhabitants have passed down traditions through the generations, and it is possible for foreigners to the area to experience a way of life that is very different from what they are normally used to. 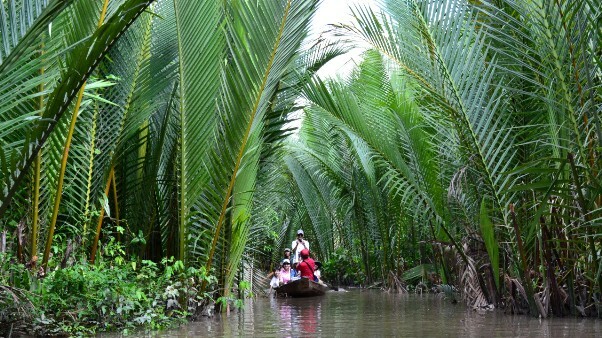 Besides cultural excursions, the Mekong River offers many opportunities to discover the natural scenery, such as mangrove tree mazes via sampans (a wooden rowing boat). In Vietnam, coffee culture is as deep and rich as just about everything else in the country. Along with baguettes, cheese, and imperialism, coffee first reached Vietnam in the mid 1800s. The Central Highlands proved an excellent place to grow coffee, and it soon became a major export of Vietnam. Nowadays, Vietnam is the second largest producer of coffee in the world, and the streets are full of coffee shops, ranging from the traditional, romantic hole-in-the-wall cafés with plastic stools to hip, modern coffeehouses rivaling what can be found in Western countries. An excellent way to watch the world pass by is to visit one of these small shops in abundance by Hoan Kiem Lake in Hanoi and order a Cà phê sữa đá (iced coffee with condensed milk). You won’t be disappointed! Although Hanoi is a cosmopolitan city, there still exists an antique quarter within the heart of the city, known as the Old Quarter. The Old Quarter, made up of 70 streets dealing in specializations from “Salt Street” to “Bamboo Street”, began as an alligator and snake-infested swamp, and then gradually was made into a group of small stilt-houses by Chinese administrators. Originally called “36 Old Streets” due to 36 guild locations in the 15th century, the Old Quarter is a unique classical feature of Hanoi that can be seen very easily by foot. A traditional and romantic way to discover the Old Quarter is by Rickshaw, a three-wheeled cart pedaled by a local Hanoian.